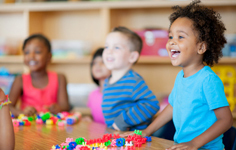 Mindful activities are a life skill that can help children and teens manage stress – particularly if they have additional support needs. This book is ideal for educators, parents and professionals; accessible for all levels of meditation experience. 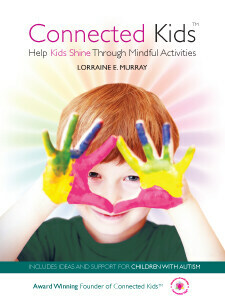 In this sequel to her best-selling book ‘Calm Kids’, author Lorraine Murray explains a range of methods to help you teach your child meditation using bespoke ideas and activities that accommodate their abilities and interests – particularly if there are additional support needs for children on the autistic spectrum. The book contains practical meditation and mindful tools for people to try with children (of all ages) – on a personal or professional basis. The book is based on the author’s research via case studies. This enabled her to explore and test the ideas in the book to help kids with special needs reduce stress. “I love this book. I have been teaching yoga to students with special needs for the past 10 years (self taught ). I have done 2 certificates in kids yoga but found that my knowledge surpassed a lot of people I met. Our school has taken on student wellbeing and when I found this book I was so excited. It has deepened my understanding and allowed me to pass on to the students activities that will help them regulate. I have seen the change in many students over the past 18 months and know that I will continue to see development in all my students, even if it is minor….it is major for them. 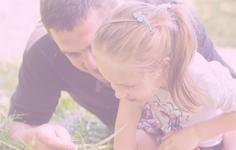 The Connected Kids book helps kids/teens feel more grounded, use the breath to reduce stress, helps adults/carers connect to the child’s energy to support them and gives children on the spectrum, mindful skills to help them cope with life challenges. Discover how mindfulness enables emotional intelligence, self regulation and can improve learning. 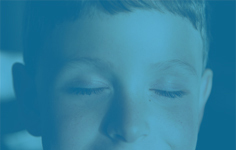 If you would like to learn some simple skills that can help your kids using meditation and mindfulness, we offer an online and in-class training programme – for personal use or professional application. The course includes a copy of the Connected Kids book.